Do you want to be a dream woman or a doormat? Living or travelling to the greatest city on earth, New York, is certainly exciting by itself. There’s so many places to visit, sites and locations to see, activities to participate and take in, and so on. In general, there’s never a lack of something to do while in NYC. Now, with FreshNYC.com, one can plan what to do in advance, and check out some of the coolest places and restaurants in the city. FreshNYC.com gives users a platform to find recommended activities while in the city, eat at great joints, and find inspiration in and around New York City. The site requires registration, which then offers bookmark services for users to tag the places and activities they like so they can revisit them faster. Alternatively, users can save this information in order to customize it later, and create their own calendar of events, ideas and themes. More to providing these services, FreshNYC.com provides a place for friends to share their collection of fun places to see and visit. Users can mingle with each other and collaborate on ideas. Such collaboration is bound to lead to inspiring ideas. Where the site carves out its niche is by making it possible for users to have their own customizable travel guide. Visitors to New York will find it easy to locate all the cool places they might have heard about, and certainly get to enjoy the fine food and drink the city has to offer. The site updates regularly to keep abreast of all new developments, so users are kept informed when new events pop up. It’s a great way to keep track of the latest happenings, and one will certainly not have to worry about missing key events that they like. “Discover, Bookmark and Enjoy” is the motto the site goes by, and it aims to provide an accessible platform for users to enjoy New York City like never before. 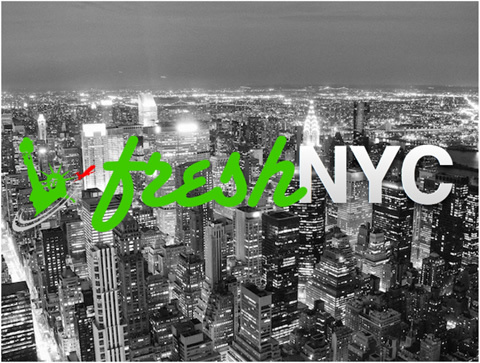 FreshNYC is developed by Brandon Mar, a New Yorker who loves to explore the city and sample what it has to offer. Having experienced the thrill and excitement of New York, Brandon has set to launch the site as a way to give people access to the city’s best spots and eating joints in an easy way. 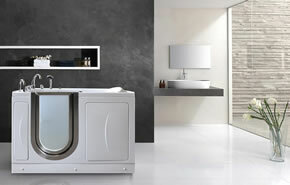 Walk in tubs are specially designed bathtubs that provide a luxurious, relaxing and therapeutic bathing experience to enhance your healthy lifestyle and comfort in your home. The next evolutionary step in casual gaming! Custom Furniture for the Elite! Provide your children with a fun, educational toy that promotes early learning! Want To Give The Coolest Holiday or Birthday Gift to the Boys and Men in your family? IC Tool Suite ~ Everything You Need To Succeed Online. Super Pooper TM Potty Seats for Baby and Toddler Toilet Potty Training. Around the Town Heating and Cooling Inc. is your source for Furnace and Boiler repair in Chicago.